Geography bridges perspectives in the social and natural sciences to study people and the environment. In addition to deepening knowledge of biophysical and social change processes in their own right, diverse methodological approaches uncover the relationships between humans and natural and social environments. Students use integrative explanatory frameworks to grapple with critical areas of inquiry: the geopolitics of conflict, climate science, biogeographies of endangered species, public health, urban planning, disaster mitigation, international development, environmental and social justice, and natural resource management, among them. First-year students and sophomores often are introduced to geography in GEOG 111 , GEOG 121 , GEOG 131 , or GEOG 205 , which may be taken in any order. Exposed to the full spectrum of disciplinary subfields — physical, human, and nature-society geography as well as geographical techniques — the major provides a good foundation for graduate work or future employment in both the private and public sectors. Examples of careers pursued by recent graduates are found here: Success after Colgate. The Peter Gould Award in Geography — awarded by the department to a senior geography major who has enriched the geography community through exemplary leadership, service, and achievement. The Shannon McCune Prize in Geography — awarded by the department to the senior geography major who has been judged by the department’s faculty to demonstrate outstanding academic merit and promise. The Kevin Williams ‘10 Endowed Memorial Fellowship Award — established in memory of Kevin Williams ‘10 to provide stipend support for one or more geology and/or geography majors to study abroad. The department grants advanced placement credit for GEOG 111 - Global Shift: Economy, Society, and Geography , to students with a score of 4 or 5 on the Human Geography Advanced Placement (AP) exam or for students who achieve a score of 6 or 7 on the higher level International Baccalaureate (IB) Geography exam. AP and IB credit may not be counted toward a major/minor in geography. Transfer credit should be arranged in consultation with the department chair. Typically, the department will accept for major credit a maximum of two geography courses taken from department approved study abroad programs and/or Colgate study groups. Courses taken from non-approved programs may be eligible for one major credit with department approval. Regardless of the source, the number of non-Colgate courses used for major credit in geography cannot exceed two. 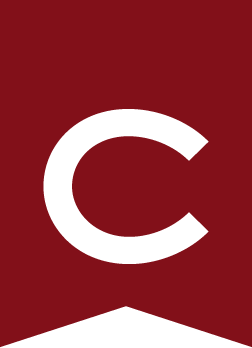 To be accepted, courses must be comparable in quality and scope to courses offered at Colgate. Students who hope to transfer course credit must consult with the department chair prior to enrolling elsewhere. Transfer credits may not be used to satisfy the department’s required courses. Students in geography wishing to pursue honors must have a major GPA of 3.50 or better. Students pursuing honors who have a major GPA of 3.70 or better may be eligible for high honors. In such cases, the geography faculty will determine whether the completed honors project is of sufficient quality to warrant such an award. Eligible seniors who wish to pursue honors must follow the guidelines for honors in geography. If approved for preliminary honors work, students will register for GEOG 490 , a half-credit course in preparation for honors work, during the fall semester. If given final approval for honors work, students will register for GEOG 499 , during the spring term. At the end of the spring term, candidates for honors will make oral presentations of their completed honors projects to the members of the department. The decision to award honors will be made by the department in consultation with the faculty advisers based on the quality of the honors project, oral defense, and other evidence of distinction. This study group is sponsored by the Department of Geography and Environmental Studies Program (ENST) and focuses on the social and environmental diversity of Australia. It is led by a member of the geography or ENST faculty and provides a valuable complement to the Colgate-based geography curriculum. See Off-Campus Study . GEOG 207 - Is the Planet Doomed?